In case you haven't heard, Beyoncé and Jay Z might be having another baby. However, it's also worth it to mention that the evidence of that is incredibly flimsy and would never hold up in a court of law, if one went to court over pregnancy rumors. Thankfully, it's a little bit more substantial than just "Beyoncé looks pregnant!" even if it's not much more substantial. Allegedly, Jay Z changed his lyrics to reference Beyoncé's pregnancy during the final night of their On the Run tour in Paris. Honestly, shouldn't Jay Z and Beyoncé know by now to never get inventive with their lyrics ever? People will talk. People have done nothing but talk since the Jay Z and Solange elevator fight. Currently, people are talking about whether or not Beyoncé is pregnant, which is probably a welcome change from when everyone was talking about whether or not she and Jay Z were about to divorce, like, any second now. But I don't blame anyone for being skeptical that a simple lyric change is all the proof we need that Beyoncé has another bun in her oven. After all, when she changed the lyrics to "Resentment," everyone took that as the nail in the coffin to her and Jay Z's marriage which is obviously still going strong. However, there's evidence to support the fact that this could be the real deal. Evidence #1: They announced their last pregnancy this way. Remember that time back at the 2011 MTV Video Music Awards when Beyoncé started rubbing her tummy in front of the entire world as a means of announcing that she was going to have her first baby? Remember how we all lost our collective minds? The fact of the matter is, announcing pregnancy news on stage wouldn't exactly be out of character for Beyoncé and Jay Z. Evidence #2: This is pretty much their sense of humor. I say this with all the love in the world, but Beyoncé and Jay Z are huge trolls. Especially lately. Beyoncé's idea of a response to Elevatorgate was several happy family photos being posted to Instagram ahead of the joint statement from herself, Solange, and Jay Z. 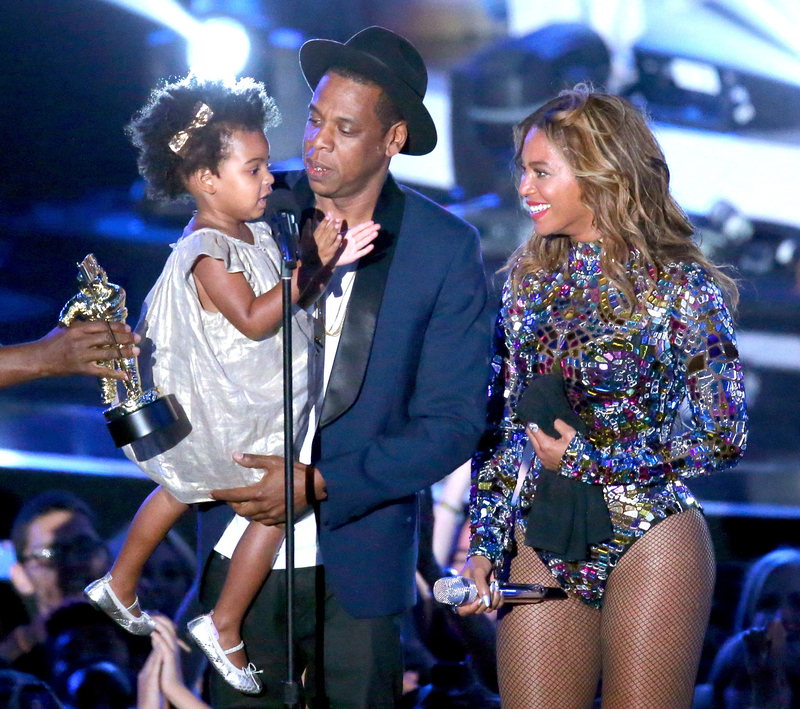 Her response to the divorce rumors was a showstopping concert at the 2014 MTV VMAs and an onstage family moment. For them to troll us by announcing their pregnancy news in the same way that sparked untrue rumors not even three months ago would totally be just like Bey and Jay. Evidence #3: They missed the VMAs this year. I mean, obviously they were both there, but they missed their opportunity to announce a pregnancy at the VMAs this year. I don't know what projects Beyoncé and Jay Z have coming up now that the On the Run tour has concluded and the VMAs have passed us by, but the last stop of their tour was basically their last shot at getting to announce the pregnancy onstage. Otherwise they would have had to break tradition, and no one wants that. Evidence #4: That's a weird lyric change to make. Listen, when Beyoncé changed the lyrics to "Resentment" during the On the Run tour, there was clear evidence that she could have been alluding to the divorce rumors even if they turned out to be untrue. When she added lyrics to the "Flawless" remix she did with Nicki Minaj, that was a clear reference to Elevatorgate. What reason did Jay Z have to change the lyrics to "Beach Is Better"? He couldn't have been alluding to anything because there were no rumors about Beyoncé being pregnant floating around right before then. Either he's making some up out of nowhere or it's maybe, possibly, allegedly true. Of course, it'd be better if they did a more official announcement than a lyric change, but, hey, at this point I would say anything is possible.